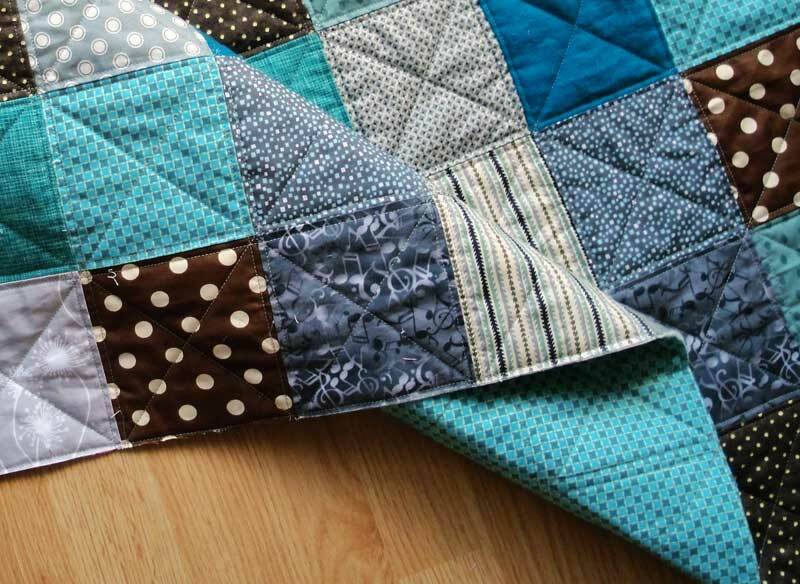 It's so much more fun to make a quilt with a recipient in mind. A friend is having her first child: a boy. 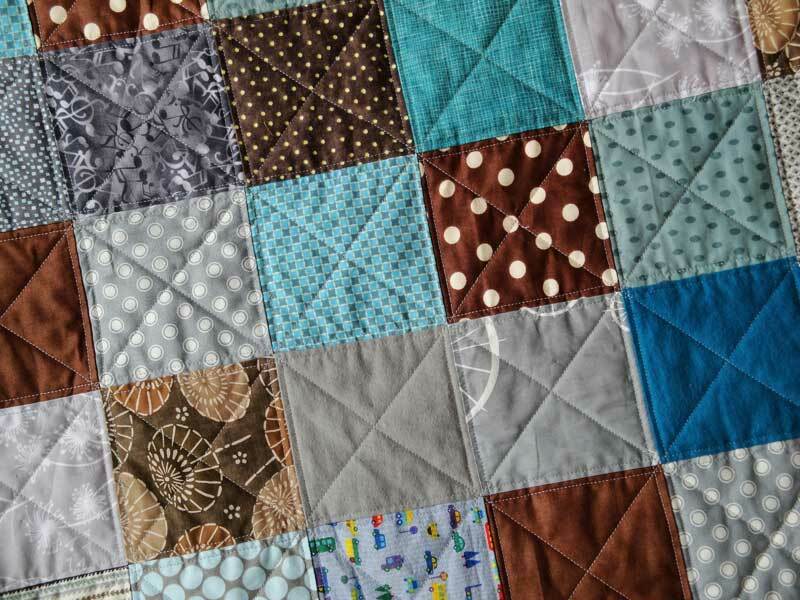 Not knowing the color scheme, if any, of the child's nursery, I figured the classic boy colors of blue, gray, and brown would be safe and perhaps a bit more sophisticated than the traditional baby blue. 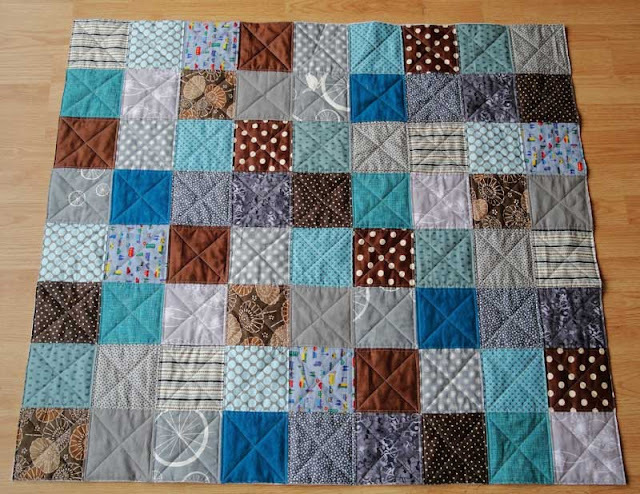 I picked out a fun mix of colors, textures, and shapes to make the quilt. It's a simple, but classic, square design. The quilting is parallel to the seams for stability and then diagonally for some additional strength and as a design element. Each of the fabrics has a story and come from as far away as Tokyo. 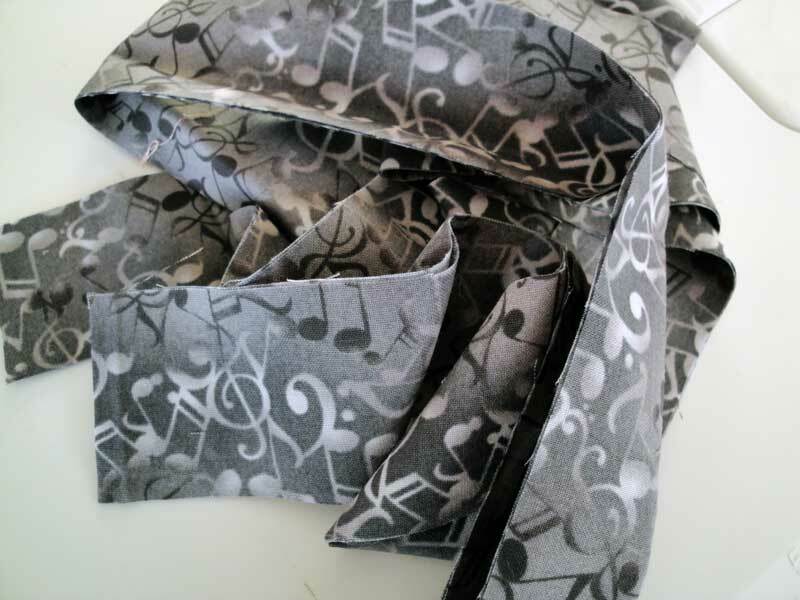 The fabrics are flannels, quilting cottons, linen, and organic cotton. The mom is musically gifted, so using the musical fabric for the binding and some of the squares is perfect. Finished size: roughly 35" x 40"
i loooove this quilt...and i know the baby will love it, too! thank you so, so much...it's so thoughtful of you to make it, and i appreciate your thoughtfulness even more now that i understand what went into it! thank you, thank you, thank you!